With the right tools and support, nursing students with dyslexia and dyspraxia can be valuable members of the nursing team, says Kerry Pace. Working effectively as part of a team is an essential skill as a nurse, but it can be a challenging one for students to learn, particularly those who are neurodiverse (have dyslexia or dyspraxia). The RCN guide – Dyslexia, dyspraxia and dyscalculia: a toolkit for nursing staff – recognises that people who are neurodiverse possess skills important to team working, such as an ability to make connections quickly and problem solve using a holistic approach. 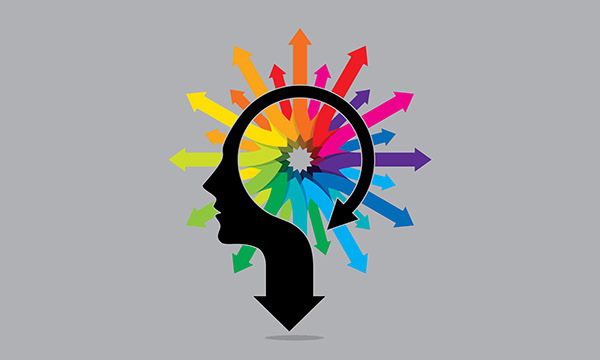 But neurodiverse students are sometimes reluctant to disclose their profile to their mentors for fear they will encounter some of the negative attitudes that persist around neurodiversity. For these students, the real challenge of team working is to develop confidence in themselves as equally valuable and effective members of the team. Dann, a first-year student at a London university, says: 'As a student with a neurodiverse profile, one of the biggest challenges when working in a team is trying to hold comments and questions I have in my head. "My short-term memory gets full up quickly and, as a result, I can interrupt mid-conversation for fear of forgetting my question. This can be misinterpreted as rudeness by other members of the team." If you also have difficulty processing or recalling information – which can be exacerbated by team interactions on busy and noisy placement areas – Dann’s advice is to keep a notepad in your pocket, and do not feel embarrassed about using it as a memory aid. Don’t be afraid to double check information with your mentor or other staff – ask, clarify, and repeat back your notes. This is far preferable to forgetting instructions or important information, and being able to refer to notes at any time can help reduce stress or the feeling of being overwhelmed. Neurodiverse students can also make simple adjustments to help manage challenges in the work place, such as taking extra time for tasks and having a quiet area to write records, and mobile devices are useful tools. Essentially mini computers, they contain apps that can help students be more efficient in capturing their thoughts and making lists, as well as apps to help with reading, writing, dictation and spelling. Everyone will be challenged by team work at some point in their nursing career. The real emphasis therefore needs to be on a willingness to accept and facilitate the ways in which all members of the team can better contribute to patient care. Nurses and nursing students with dyslexia and dyspraxia make a valuable contribution to care.